The Perfect World Masters kicked things off in Shanghai last night, and one team had to scramble last-minute to find a substitute player. Team Secret’s MidOne had an urgent personal matter, and so his team had to turn to a local substitute and unique method of communication. EHOME’s Chen “Cty” Tianyu was able to sub in for Team Secret, but while Secret communicate in English, Chen speaks Chinese. To bridge the gap, the team turned to the in-game chat wheel for help. 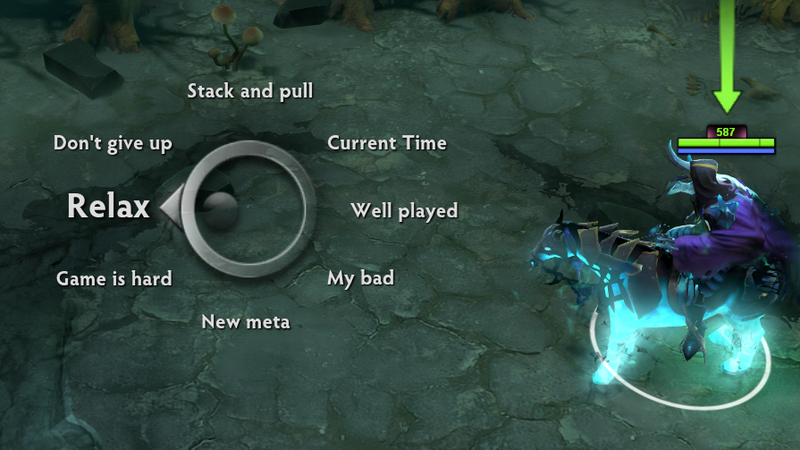 Dota 2's chat wheel is a small circle you can bring up and flick your mouse around to issue a number of automated responses, from simple call-outs like “the enemy in my lane has gone missing” to specific timestamps and “Zeus, ult now!” When Chen arrived for the day’s games in Shanghai, Team Secret quickly convened and ran through the chat wheel options with him. Chen will be playing for Secret throughout the tournament, so as time goes on, it will be interesting to see how this works out. In a game against Mineski, you could see the strategy playing out thanks to the observers being able to see chat, as Secret calls for a smoke gank and then heads into the Roshan pit. Secret went 1 and 1 with both LGD Gaming and Mineski in their first matches, leaving them in a three-way tie for second in their group. You can catch tonight’s matches on PGL’s Twitch channel, starting at 9:00 p.m. ET.